If you had to pick your top 5 most important technical analysis rules to follow as a swing trader, what would they be? 1. 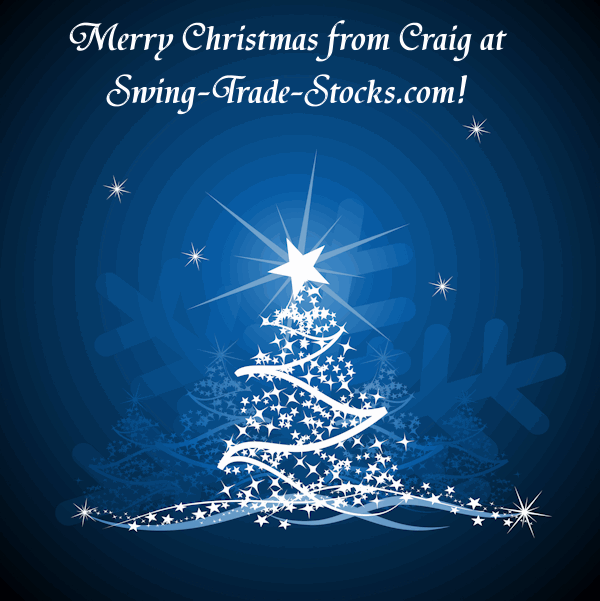 Trade Stocks That Are Trending. Stocks that are trending have a tendency to continue to trend. This persistent nature of trends increases the odds of a stock moving in your desired direction. 2. Buy Pullbacks, Not Breakouts. The problem with buying breakouts is that you are relying on the greater fool theory. You hope and pray that someone else will come along and buy a stock at an even higher price than you did. And, I would rather buy after the crowd sells - not before. Trade the first pullback after a breakout or a trend change. These will be your best trades. Why? Because this is where professional traders buy and they will help to move the stock in your desired direction. Take a look at NTRI. This was my best trade of 2009. 4. Use Multiple Time Frame Analysis. You can spot hidden patterns in lower time frames that can improve the odds of a trade going in you favor. And sometimes, that can lead to a tighter stop loss - which means you can buy more shares - which means you can make more money. 5. Trade With The Market, Not Against It. Sure, you can short stocks when the overall market is in a raging uptrend, but why? There will many more opportunities on the long side. I left out managing your money correctly because that should be everyone's number one law - a rule that cannot be broken if you expect to make one penny at this game. Have You Ever Heard of the Rule of Four Breakout? At the Traders Library blog, there is an excerpt from Jeff Coopers Book, Intra-Day Trading Strategies. In it, he talks about the Rule of Four Breakout. 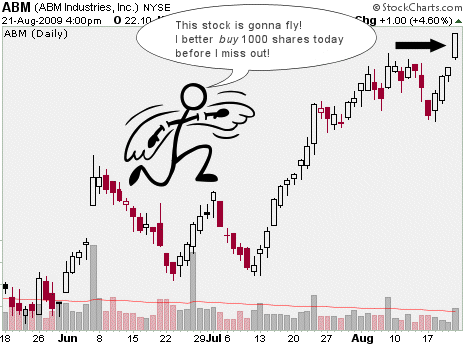 A lot of day traders and swing traders can lose money when a stock forms up like this. Why? Because there is a lot of volatility and apparent trends going on here, but they have not lasted. You have the numerous triple tops forming over this period, and the actual breakout point is called the rule of 4 breakout. This was the fourth attempt to breakout above the declining resistance line. 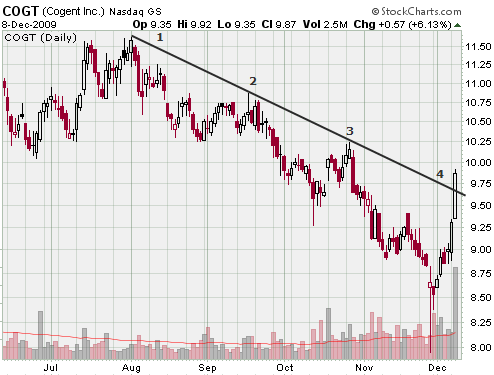 So, I guess what he is saying is that stocks tend to breakout on the fourth attempt to break a trend line. Interesting. But I wonder how often this actually happens. If it does happen often, then you might use this information to avoid shorting a stock if you see it hitting a trend line on the fourth attempt. This is an excellent video by the folks over at Elliott Wave International. It runs for about 11 minutes so you'll need to set aside some time to watch it. Wall Street legend and best-selling author Robert Prechter says "You can almost hear the Dow going up and down over the airwaves." Watch this 3-minute clip from his documentary History's Hidden Engine to see how social mood governs movements in the stock market and trends in popular culture." You can access Robert Prechter's 50-page report "Popular Culture and the Stock Market" here. Are you a discretionary trader or a systems trader? Regardless of the type of trader that you are, you should read Curtis Faith's new book, Trading From Your Gut. In the book, Curtis Faith (one of the original Turtles) describes how our brains are comprised of two parts: the left brain and the right brain. The left brain is responsible for analysis and reason. The right brain is responsible for intuition or "gut feel". Systems traders tend to be left brain dominant. Discretionary traders tend to be right brain dominant. This book explains how to use your whole brain to become a better trader. The left brain is good at building and understanding models for how the world of trading works, and the right brain is good at generating ideas and recognizing opportunities. I discovered by reading this book that I am right brain dominant. This causes me to make trading decisions that can over rule my left brain! 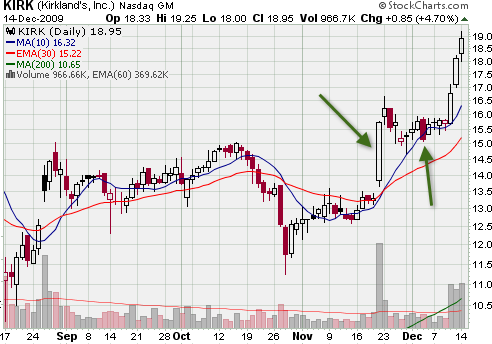 I bought this stock on December 7th (green arrow) at $15.80. 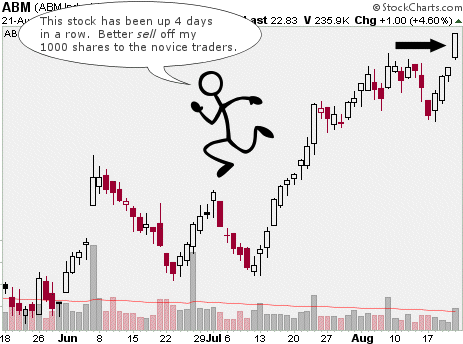 This stock doesn't even come close to meeting my criteria for a swing trade. I trade pullbacks - almost exclusively. But I took this trade anyway. Why? Because there are two candles on this chart that my right brain noticed. The first candle is obvious. This candle traded well above the previous resistance point and closed strongly. Wide range candles like this often ignite a move in a new direction - they begin a new trend. The significance of the second candle may not be obvious to some traders. Why was this candle significant? Because it looks extremely bearish (which caused a lot of traders to sell) and there was no follow through the next day. In other words, this stock did not continue to move down. Instead, it gapped up the next day and moved well inside the previous days range. It means that there aren't enough aggressive sellers left to move this stock lower. This increases the odds for a breakout. A few days later, this stock broke out and it ended up being one of my best trades of the year. In Trading From Your Gut, Curtis Faith teaches you how to develop, listen, and have confidence in your instinct. He teaches you how to use your whole mind to become a complete trader. After reading this book, I will definitely trust my gut more often in 2010! I don't want to write about this. 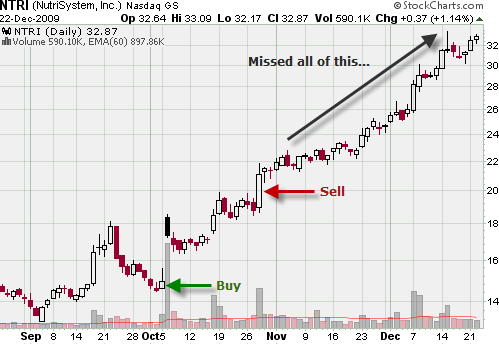 WARNING: The following stock chart may make you sick to your stomach. What a beautiful entry on a nice swing trap. And, on the day before a monster gap, no less. But that is about the best thing that I can say about this trade. I made almost a 40% gain in this stock but I could have doubled my money! Sickening, I know. For the life of me I can't figure out why I sold this stock. I went back and looked at my notes but I didn't write down a reason for selling. The worst thing is that this dang stock is still on fire. For all I know this freakin' stock will go to $100. I keep wishing this stock would just tank so I can feel better about it! 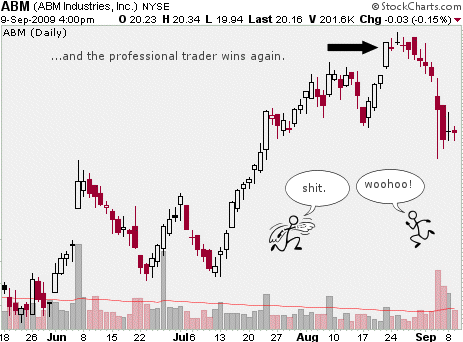 So, I end 2009 with my best trade also being my worst trade because I didn't let my winner run - and broke the number one rule of trading stocks.